Is Your Oven the Best Fit for Your Operation? You carefully consider every ingredient that goes into making your perfect pie, but have you ever thought about how the style of pie you make — New York, Neapolitan, pan pizza, take-and-bake, delivery, etc. — is impacted by the oven it’s baked in? The quality of your pies defines the patron experience, your reputation and your profit potential. Make sure you have the right oven for the job — and the right crust types for any oven you already have. 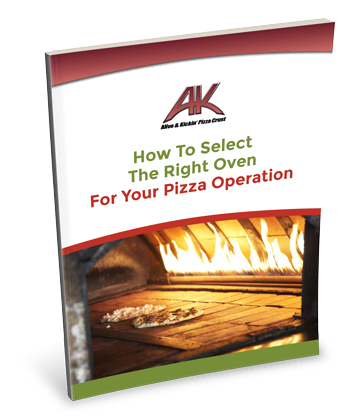 Download your free copy of How To Select The Right Oven for Your Pizza Operation now. Just fill out the form!